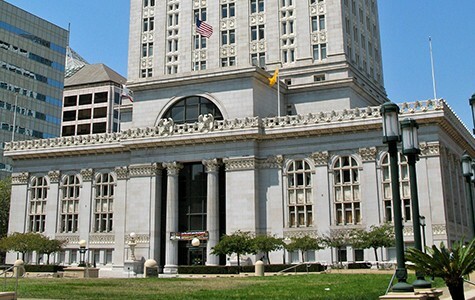 According to city staffers and a recent lawsuit, Oakland may have trouble collecting millions in tax revenues next year. In addition, documents show that a top tax collections official violated city law. Because of the booming economy, the City of Oakland's total tax revenues are expected to jump by at least $115 million next year, and the city's general purpose fund — Oakland's unrestricted pot of cash — is expected to grow by $54 million. 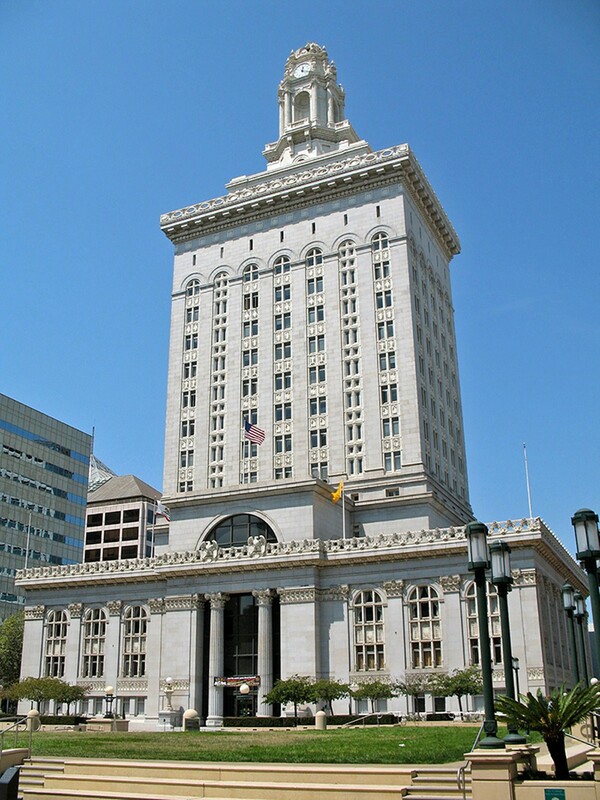 But according to city insiders and a recently filed lawsuit, a major portion of Oakland's revenue stream is threatened by a contract dispute with a company that built a tax database for the city. And questions are emerging about financial controls in Oakland's Revenue Administration department, including large payments to vendors who never signed contracts with the city. A lawsuit filed by Progressive Solutions, Inc. (PSI) of Brea, California in Alameda County Superior Court alleges that the City of Oakland stole the company's multimillion-dollar business tax computer system and breached its contract. The company also asserts that "there is an imminent risk that outdated PSI software could malfunction," resulting in "interruptions in Oakland's revenue stream from local taxes." Multiple current and former city employees with direct knowledge of Oakland's local tax computer system said that the possibility of a glitch taking part of the system down and preventing Oakland from collecting taxes is very real. Without PSI's help, they said, the city could lose millions. The Express has agreed to not identify the city employees because they fear retribution for whistleblowing. But David McPherson, the head of Oakland's Revenue Administration department, and the City Attorney's Office contend that the city is in no financial danger, and no longer has a contract with PSI, making a contract breach impossible. The tax proceeds that could be at stake are huge. PSI's computer system processes Oakland's business tax as well as the city's utility consumption, transiency occupancy, and parking taxes. This year, Oakland collected $133 million from these four tax sources. Mayor Libby Schaaf's proposed budget expects to rake in $148 million from these local taxes in the 2015–2016 fiscal year, which begins on July 1. In other words, the computerized tax system at the center of the dispute represents about 30 percent of Oakland's general purpose fund revenues. The previous head of Oakland's Revenue Administration department, Terry Adelman, also said in an interview that he fears the software could fail, thereby damaging the city's ability to collect taxes. PSI hired Adelman to mediate with the city when relations between the company and McPherson turned sour, but McPherson declined any effort at mediation, Adelman said. In an interview, McPherson said: "We are not in imminent danger of the city losing any revenue. There is no impact to our situation." McPherson argued that even though the city has no contract with PSI, it has a license to use the company's software for another two years. However, by press time, the Revenue Administration department had not provided the Express with records of such a license deal with PSI. In an email, McPherson wrote that allegations that Oakland's tax receipts are imperiled are a "ploy spread by the disgruntled vendor and their consultant Terry Adelman. "We have processed over 80,000 renewals and 40,000 license certificates without a hick up [sic]," McPherson continued. The complicated dispute goes back to July 2006 when the Oakland City Council approved a $617,000, three-year contract with PSI to build an automated local tax billing and collection system. In 2011, the council approved a contract extension with PSI to maintain the system. Then, as part of the 2013–15 budget, the council added an online business tax payment to the contract's scope of work — a feature that cost Oakland another $192,000. However, even though the council approved the contract extension with PSI, McPherson never signed one — nor did anyone else in the city, according to McPherson and the City Attorney's Office. Nonetheless, Oakland paid PSI a total of at least $1,778,368 — which is $1,161,368 higher than the original $617,000 contract amount, according to a list of payments obtained through a public records request. At a city council finance committee meeting in June of last year, Margaret O'Brien, a revenue analyst who works closely with McPherson in Revenue Administration, asked councilmembers to retroactively approve $1,611,010 in unauthorized payments that her department had made to PSI, on top of the original $617,000 contract amount. O'Brien also asked councilmembers to approve additional payments to PSI for a grand total of $2,566,973. Councilmembers Rebecca Kaplan and Desley Brooks voiced serious concerns with the unauthorized spending, and with McPherson's decision not to sign the prior contract modifications that the council had approved. "We need to make sure a report comes back and this gets explained," Brooks said at the meeting. "It's really important we make clear how unacceptable this is without harming members of the public," Kaplan added. Kaplan said an online business tax payment feature had been promised for six years with no results. McPherson and O'Brien's report on the overspending blamed subordinates in Revenue Administration for not completing the amended contract, and for spending money without creating purchase orders that would have limited the funds available. Ultimately, the full council approved the retroactive payments to PSI and the new requested spending. The council also approved an amended contract with PSI. However, once again, neither McPherson nor anyone else in the city signed a new contract with PSI, according to McPherson and the City Attorney's Office. When asked why he did not sign the contract amendments, McPherson said he could not comment because of the pending litigation. According to PSI, McPherson sent the company an unsigned contract last year. "We had an amended contract — the city sent it to me, and I signed it, and I returned it back to them" PSI CEO Glenn Vodhanel said in interview. PSI also contends that the original 2007 contract is still in effect because it had an automatic renewal clause. However, on September 12 last year, Kathleen Salem-Boyd, a senior deputy city attorney for the City of Oakland, wrote to PSI stating that the city did not default on its contract with PSI because she said the original one had expired. "There is and has been no contract for maintenance and support services between PSI and the City since the expiration of the authorized three-year term of the March 2007 contract," wrote Salem-Boyd. The spat with PSI isn't the only contracting problem to emerge on McPherson's watch. According to a city memo obtained by the Express, on September 6, 2013, Purchasing Supervisor Jimmie Jackson, while conducting an audit, identified large payments made by the Revenue Administration department to three vendors that did not have contracts with the city. The payments were in amounts just below $5,000, the level at which no authorization from the city administrator or city council is necessary. Jackson, however, noted in a memo to McPherson that the payments violated Oakland's law against contract splitting. "[I]t is unlawful to split or separate into smaller work orders, projects, purchase orders or contract or any public work project for the purpose of evading the provisions of [Oakland law]," Jackson wrote. According to city staffers, the three vendors — PMB Help My Community, LTAS Technologies, and James N Thompson — were hired by McPherson to perform jobs that were already being done by existing city workers, including tracing delinquent taxpayers and locating new businesses. Since McPherson was hired in 2010, he has repeatedly butted heads with his staffers. In 2011, he told the city council that his subordinates were "un-trainable," and that he wanted to eliminate some of their jobs. 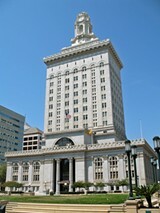 In 2013, three revenue staffers filed an appeal with Oakland's civil service board alleging that McPherson rigged the hiring process for a senior-level job by stacking the interview committees with friends he knew through the California Municipal Revenue and Tax Association (CMRTA), a trade group in which McPherson is an active member. The board dismissed the appeal. McPherson told me he was unaware of the contract splitting until reading Jackson's memo. "We stopped doing business with them as soon as this issue was brought to my attention," he wrote in an email. "The person I relied on to know the proper procedures was not properly trained to do this before I came to the city." Two of the companies that McPherson hired, and which were paid tens of thousands of dollars without a contract, are members of the CMRTA. McPherson was the president of the CMRTA in 2002 and 2003. In 2013, he sat on the CMRTA board of directors and served a third term as the group's president. PSI is also a member of CMRTA, as are the two companies now vying to replace PSI in Oakland. McPherson confirmed that Oakland staffers have already taken a field trip to Berkeley and are planning one to Walnut Creek to preview tax software provided by Accela and Hdl, two competitors of PSI. "I have recused myself from the process and will not be involved in any decision from selecting any vendor," wrote McPherson, adding that he had a conflict of interest with Hdl. He did not elaborate on what the conflict is. In 2013, while McPherson was a board member of the CMRTA and was its president, Hdl paid the membership fees of members whose cities used the company's software, a contribution to CMRTA that was worth $5,600. According to meeting minutes obtained by the Express, McPherson made the announcement, and told the group that "this offer is to convey the importance of the CMRTA organization. Nothing in return is expected."